Curtiss-Wright Nuclear’s supply chain management (SCM) integrates processes between buyer and supplier, product development, common systems and shared information. A challenge facing utilities is the fact that inventory management and optimization techniques are ineffective when items have no usage history upon which to base stocking levels. Nova, a product and service brand of Curtiss-Wright Nuclear, minimizes inventory levels by reducing the number of line items stocked and this is accomplished through a combination of identifying duplicates as well as product standardization. The SCM process integration involves collaborative work between buyers and suppliers, joint product development, common systems and shared information. Nova’s SCM enables the ongoing successfully operation of solid collaborative supply networks which subsequently frees your company to focus only on profitable activities. Nova services works with both suppliers and end users to provide a wide range of products and services aimed at enhancing the supply chain while increasing the utilization of existing inventories. We discovered long ago that most traditional inventory management and supply chain strategies were ineffective for parts with no predictable turnover or demand. That’s why we began providing product standardization services in 1987 and has since expanded our product offering to include software development, technical staff augmentation, and much more. As the leader in supply of fasteners to the Nuclear Industry, Nova, a product and service brand of Curtiss-Wright Nuclear, recognized the need to identify and define selected fastener materials and configurations as “nuclear industry standards”. Nova’s “standards” have been adopted as recommendations in EPRI 1016755, “Advanced Nuclear Technology: Standard Specifications for New Plant Commodity Items”. Because utility descriptions are often incomplete especially for fasteners supplied as spares from an original equipment manufacturer (OEM), Nova developed a proprietary database to catalog the fasteners and create standard generic descriptions that could be used to purchase generic fasteners. The database is filled-in using a hands-on approach, fasteners are physically examined and the attributes are captured in the database. The database also provides consolidation data for existing inventory by matching items with like descriptions, as duplicates and alternatives. 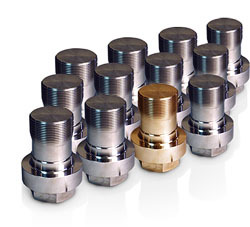 A Nova standard replacement is also identified for each utility fastener when one exists. Line items can be reduced, inventory value is reduced and non-standard materials are replaced with Nova “standards”. Along with the recommended standards, Nova developed procurement standards for use. These standards identify the requirements listed in the material specifications in a simplified manner, which can be used to describe the fastener for procurement; identify the documentation requirements; and specify the attributes that should be verified during receipt inspection. Using Nova's Utility Stock Exchange online database at www.utilitystockexchange.com, is for registered members from within the Energy industry which can view their own items inventoried by Nova’s NSA Services. The Utility Stock Exchange can be used to locate alternate and/or duplicate items. Online members can view photos of special fasteners as well as drawings of reverse engineered items. Items can be searched by stock code, part number and other fields. In order to access the Nova Online Database, you must have a valid user ID and password. Access to your site information requires that a Fastener Identification project has been performed by a Nova NSA Services team. The cornerstone of Curtiss-Wright Nuclear’s supply chain management service offering is the generic identification and categorization of spare parts and inventory. The inventory at a power generation facility is comprised of common items and components as well as engineered components and spare parts. The descriptions given to common items are generally inconsistent, both within an inventory and from site to site. 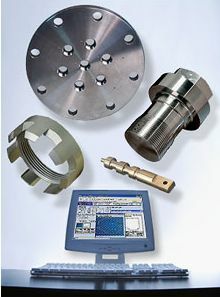 The descriptions for OEM supplied parts and components typically describe what the items do rather than what they are. These factors combine to permit inventories containing many duplicate and redundant items. Incomplete and inconsistent descriptions make searches difficult or impossible and often relinquish the site to purchase even the simplest of items by part number. Cutting edge ERP systems tend to compound the problems associated with poor descriptions. Some sites have opted to use data cleansing software as a means to provide greater consistency, but this process cannot possibly create a complete item description when this information simply does not exist. Generic identification is performed on items that can be completely described using industry standard terminology. Generic identification is a hands-on process that combines the best of database technology, skilled and experienced personnel, and a production process that permits this service to be cost effective. Nova, a product and service brand of Curtiss-Wright Nuclear, focuses on definitive attributes rather than critical characteristics. Definitive attributes are those features and characteristics that differentiate one product from another. Nova minimizes the time spent gathering data by concentrating on those product attributes that help us to arrive at a definitive conclusion as to what the part is. Many items in inventory simply cannot be generically identified. For these types of items, Nova has developed a categorization methodology that permits our database to search, sort, and group like items even when those items are not fully identified. Nova has learned through its experience that the OEM equipment suppliers often use different part numbers for the same part, when that same part is used on different pieces of equipment or performs different functions on the same piece of equipment. 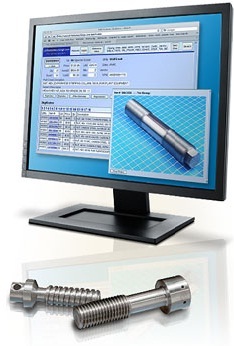 By enabling the user to search for engineered spares based on configuration rather than the part number, duplicate parts are located in inventory rather than having to be purchased. This same methodology enables users to search for parts within the inventories of other sites. In addition to entering attributes into fields, Nova also attaches digital photographs to the database records. The photographs can be used to enhance the search capabilities when narrowing the field of potential duplicates. Photographs can also be used to answer questions about parts without having to visit the warehouse and this is especially helpful when the parts are in another site's warehouse! Product standardization can be a powerful inventory management and supply chain tool when it is used to reduce duplicate and redundant items in inventory and aggregate the demand of seldom purchased products. Standardization is not simply a matter of selecting the most common and versatile items in stock, but selecting the most common and versatile items throughout the industry. The best way to accomplish this is to begin with people that understand both the technical and supply aspects of the product. Standardization begins by identifying a group of products that has high levels of redundancy. Nova began with fasteners because there are many redundant products and materials stocked at power generation facilities. Once the product group is defined, the group is broken down into smaller subgroups of items all having similar attributes. This process includes both technical factors such as strength and corrosion resistance and commercial factors such as availability and price. Once the standard products are selected, the next task is to provide the technical justification for replacing the various products with the standard ones. Nova advocates a two-step approach to this process. The first step is the programmatic approval of generic justifications and the second step involves reviewing the individual applications to ensure there is no specific adverse impact. Standardization can also be accomplished through the use of procurement standards that combine the technical and quality requirements of similar items under one umbrella. Combined requirements maximize the versatility of items purchased and facilitate sharing inventory between sites. Nova has many years of experience writing procurement documents and standards.